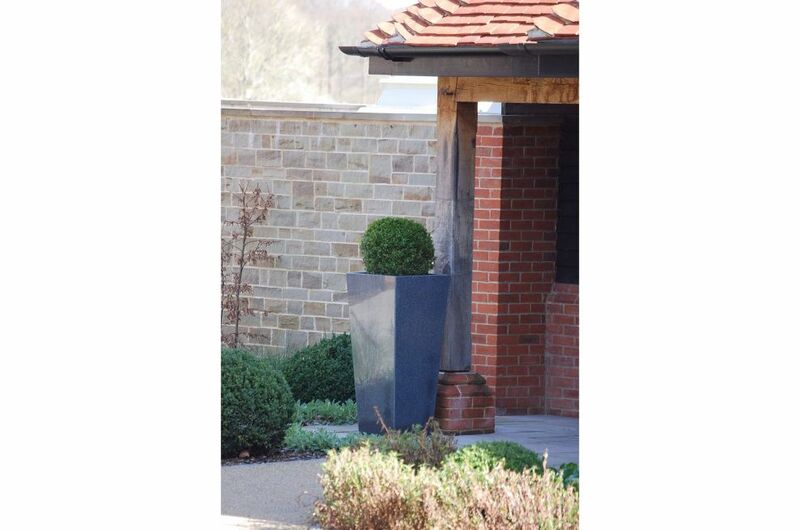 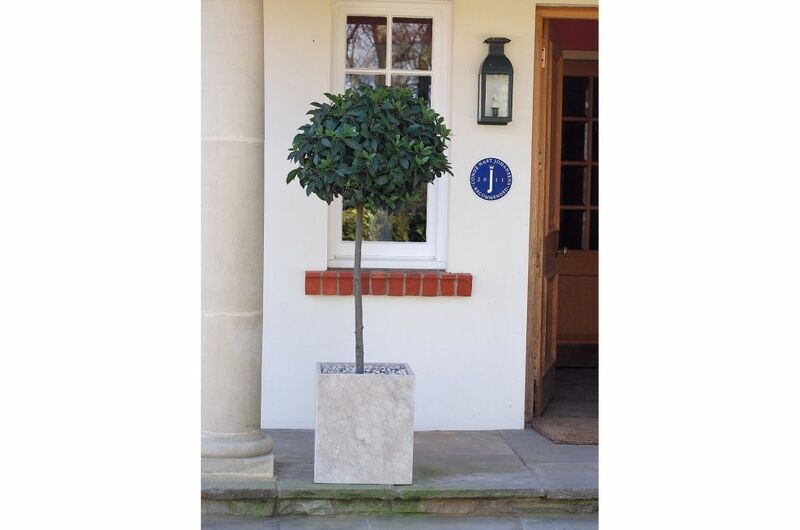 IOTA’s natural stone planters were chosen for Park House Hotel, a luxury country house hotel in the downland village of Bepton, West Sussex. 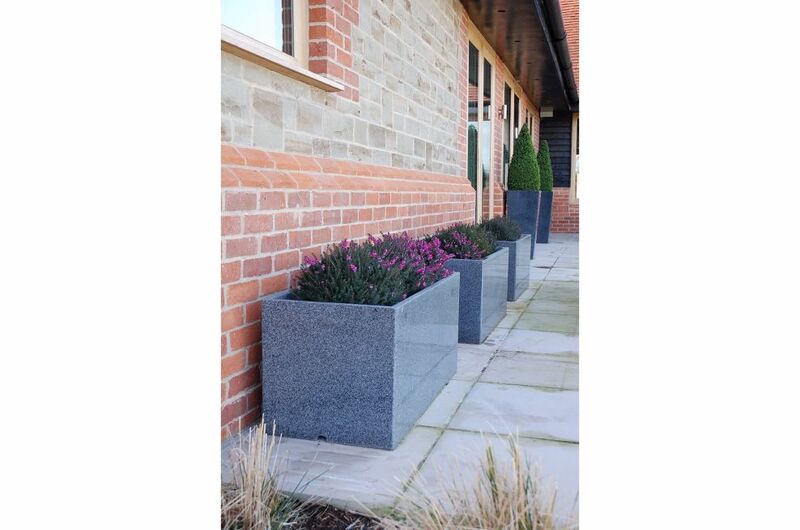 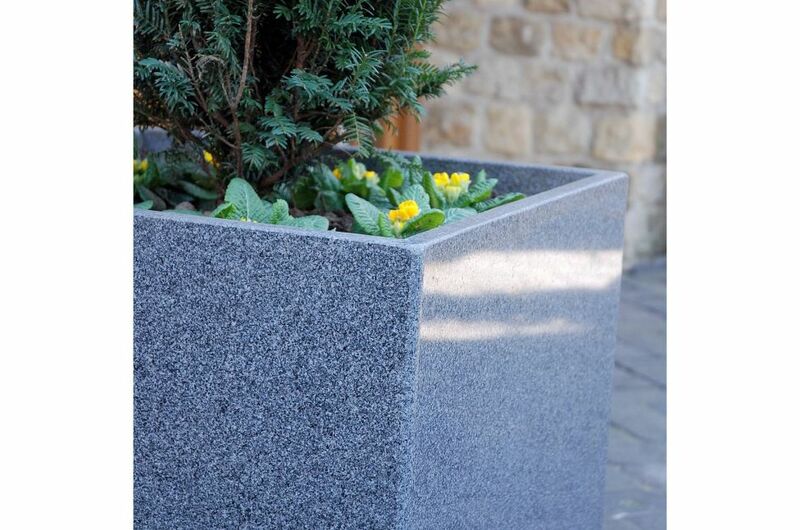 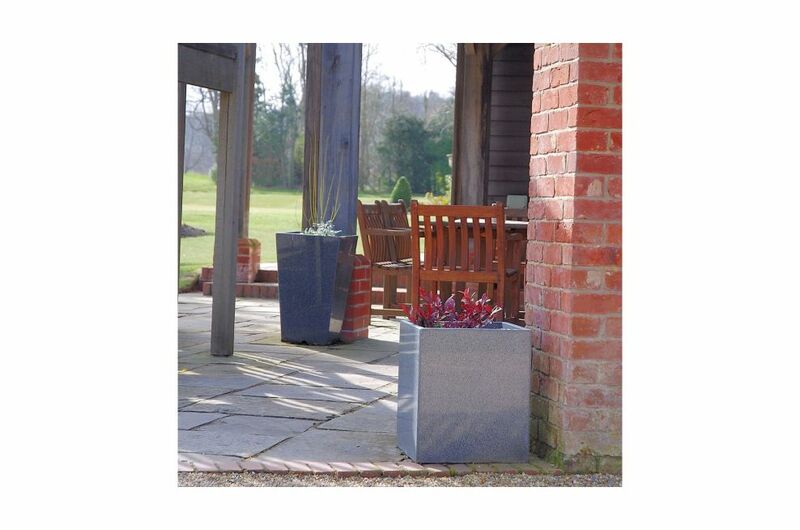 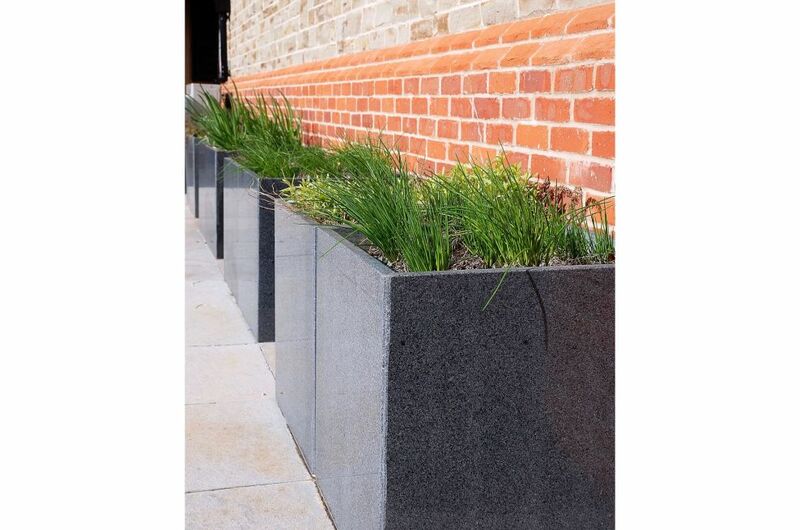 A total of 58 stone planters were used in the scheme, from the Granite and Marmoris ranges, including many of IOTA’s largest stock planter designs such as the Trough 1000, Taper 1100 and Cube 600. 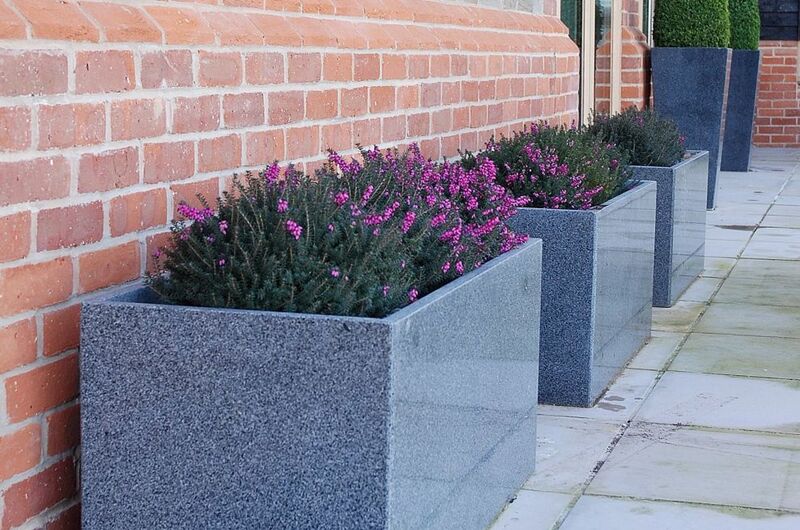 The planting is highly varied, including not only traditional box and bay topiary, but also pines underplanted seasonally, and mass planting of heathers. 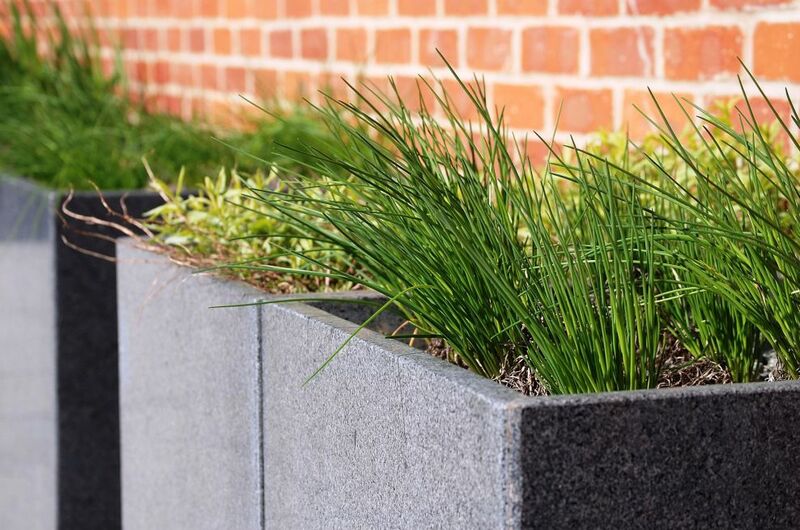 In one area along a red brick wall, a line of Trough 1000 planters are planted with culinary herbs and aromatic vegetables used by the hotel’s kitchen. 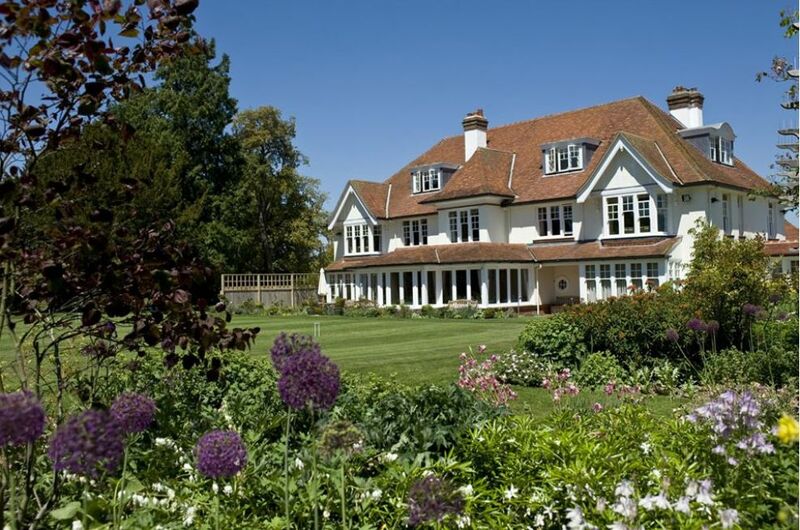 Park House is a quintessentially English, small luxury country house hotel set in an area of outstanding natural beauty. 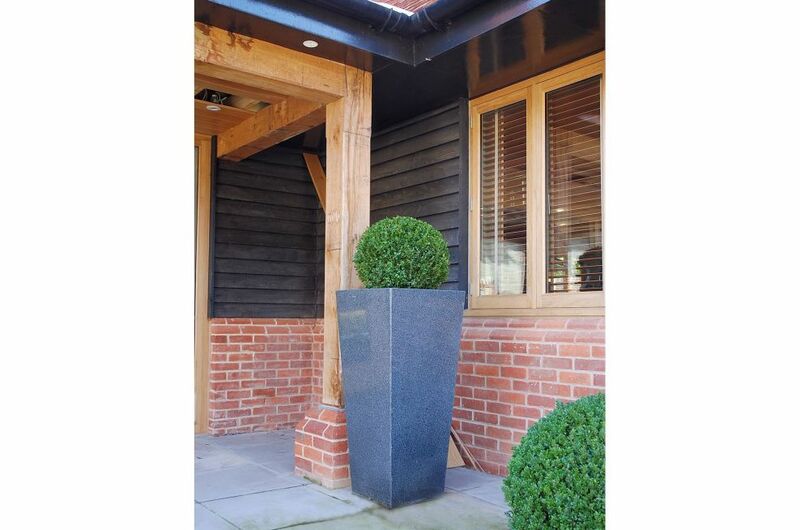 Nestling just under the South Downs in the heart of the newly designated South Downs National Park, the hotel lies on ten acres in the downland village of Bepton, just outside the West Sussex market town of Midhurst. 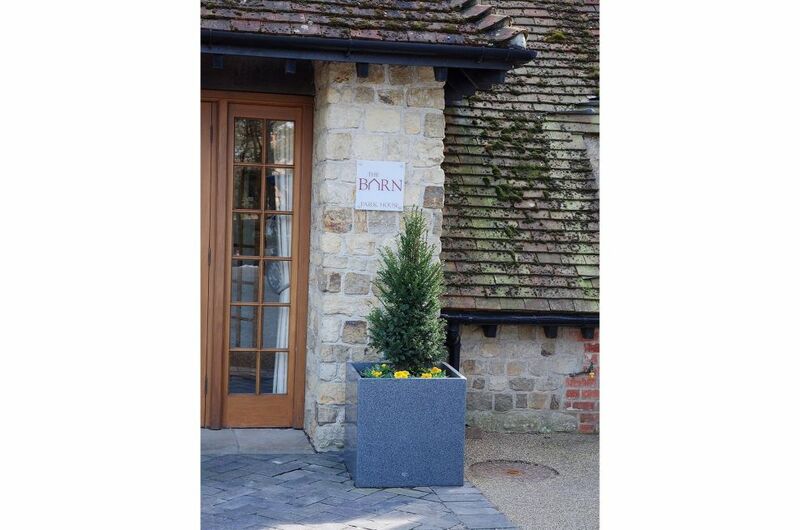 The hotel offers 12 luxury rooms within the main building and courtyard, in addition to a further 9 rooms within 3 separate and self-contained cottages. 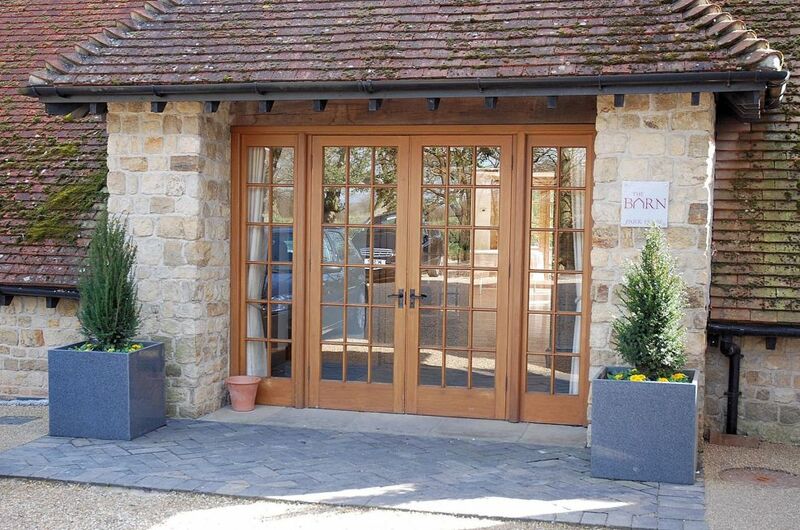 Park House’s facilities also include meeting rooms, sports facilities, and the newly-opened PH2O Spa.